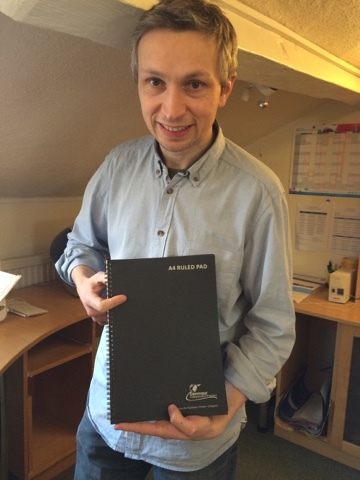 Here's Ben proudly presenting a Denmaur independent Papers notebook. A gift from our valued customer Denmaur Independent Papers, one of the UKs finest paper merchants. Thanks Denmaur, we really appreciate this kind gesture!